The last episode of Raw saw Roman Reigns taking on Drew McIntyre, and Seth Rollins taking on Shelton Benjamin. While Shelton Benjamin may not be one of the superstars involved in a feud against the remainder of the Shield, they still have a threat in the form of Drew McIntyre, Bobby Lashley, and Baron Corbin. Although the Shield has risen against the stable in the past, it is still necessary to neutralize them while Roman Reigns and Seth Rollins are heading for WrestleMania. It is quite possible that the WWE would like to end the Seth Rollins and Drew McIntyre feud before WrestleMania, as it is not a good idea to create interference in the Universal Championship match. From what it seems, WWE would prefer to keep the title on Brock Lesnar. However, WWE would definitely consider protecting Lesnar and that would mean giving him a clean victory over the Architect. As a result, it is important that they find a tag team partner to take on the team of Baron Corbin, Drew McIntyre, and Bobby Lashley. 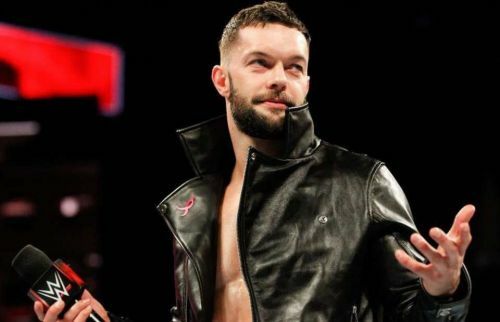 Now, while there are many names that would come to one's mind, Finn Balor is one of the names right at the top. Drew McIntyre is a natural rival of Seth Rollins as they have displayed great in-ring chemistry, and the same can be said about Finn Balor and Bobby Lashley. Roman Reigns, while recently returned, seems to have quite a feud going. It has been speculated that there would be interference at the WrestleMania match for the Universal Championship, but the WWE probably wouldn't go that route. First and foremost, it is possible that Rollins would lose anyway, as the WWE does seem to have quite a number of dream matches up it's sleeve. There are still a number of superstars the WWE Universe would like to involve in matches against Brock Lesnar. As such, It is essential that they protect Lesnar's build as one of the most dominant forces in the industry. It is important that they remove the distractions along the way. Finn Balor could thus team up with Roman Reigns and Seth Rollins against the heel trio. It is possible that even as they team up, they might still be outnumbered. As we have seen, Shelton Benjamin seems to have an issue with Seth Rollins and he might join in to outnumber them yet again. However, WWE does have a monster in reserve to even the odds.